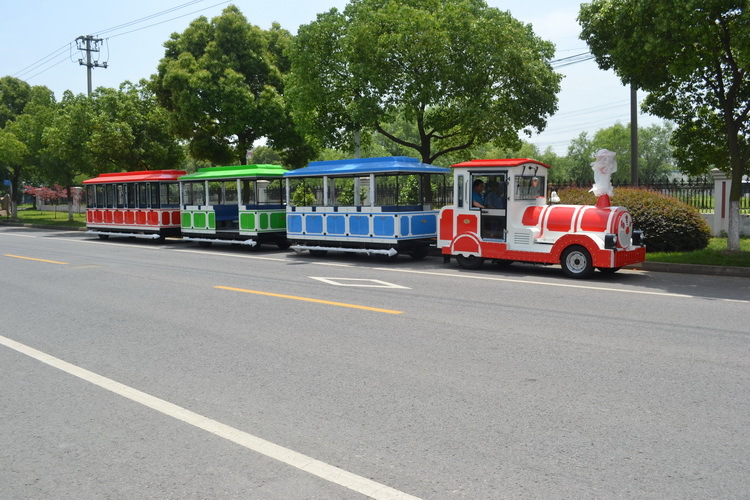 Our visitor trains are produced as a joint venture between a German and a Chinese company, which gives the best that both countries have to offer: High technical quality and reliability, but at a very competitive price. All critical parts are German made, including brakes and connection joints. The engine is an IVECO licensed diesel of 2.8 or 3.8 liter displacement. The trains are lit by LED lights. Each train comes with a package of additional wearing parts, which lasts for one year of service. 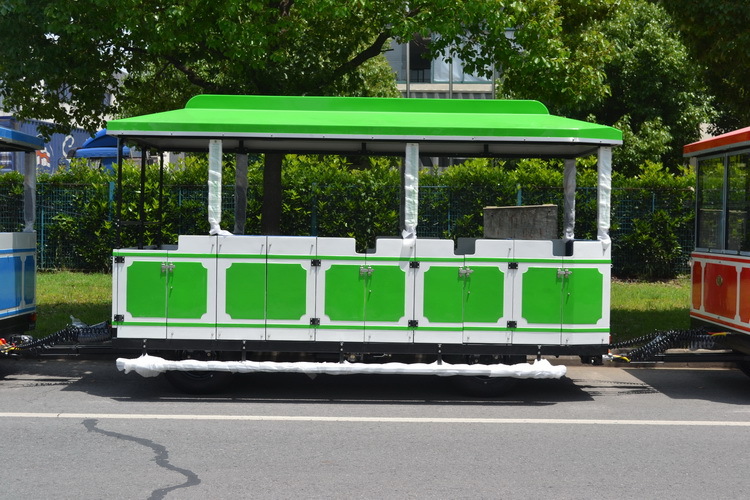 The train can be produced in any color you desire, with logo on the front and side. We also produce a safari version with PVC thatch roofing. In addition, a wide array of customization options exist - Please contact us for further information. 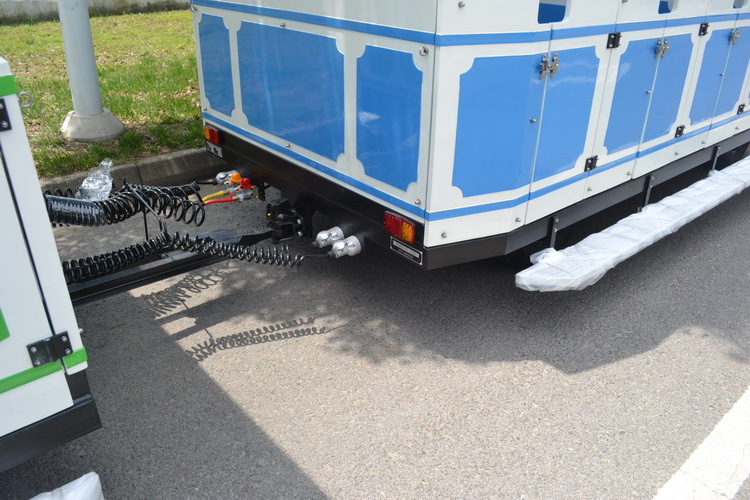 As standard, one of the three wagons is equipped with a ramp for easy wheel chair access, and a flexible compartment with foldable seats, thereby accommodating handicapped and non-handicapped people alike. In Europe the trains can be leased under a very favorable scheme, which means that no payment is required up front, and payments are only made during the seven months of the high season, making the train very feasible to acquire. The train can also be bought on normal payment, meaning 50 percent on order, rest when shipped onboard. 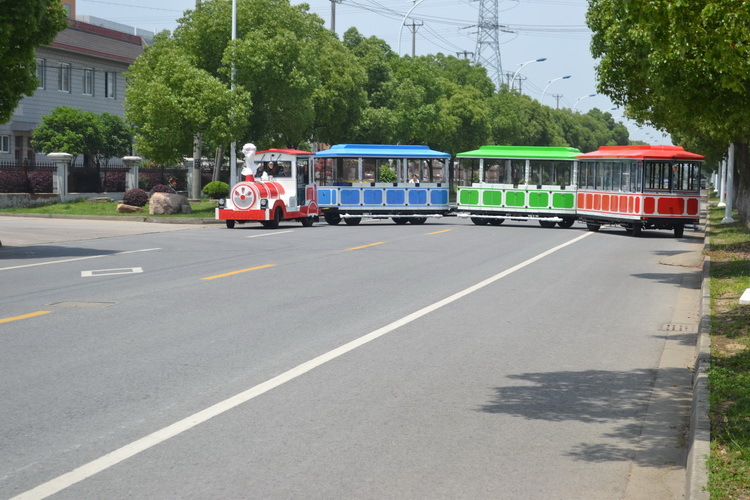 As standard, the visitor train consists of one locomotive and three wagons. 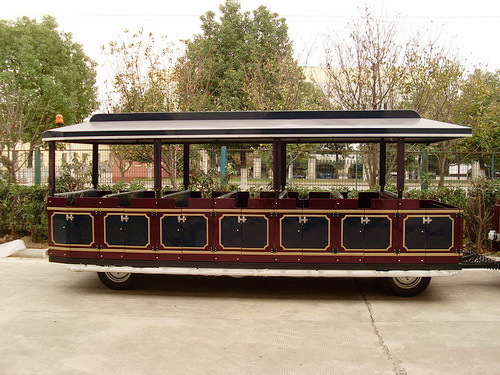 Each wagon seats 20 or 28 people. The maximum speed is 25km/h according to European law. The wagons can be produced in either open or closed configurations, see pictures for reference. Normal HMJ payment terms or via leasing scheme. Please contact us for further information. 20 seater wagons, 2,8 liter engine, 2.8 ltr diesel locomotive + 1 closed wagon + 2 open wagon with doors, carrying 20 people pr wagon.